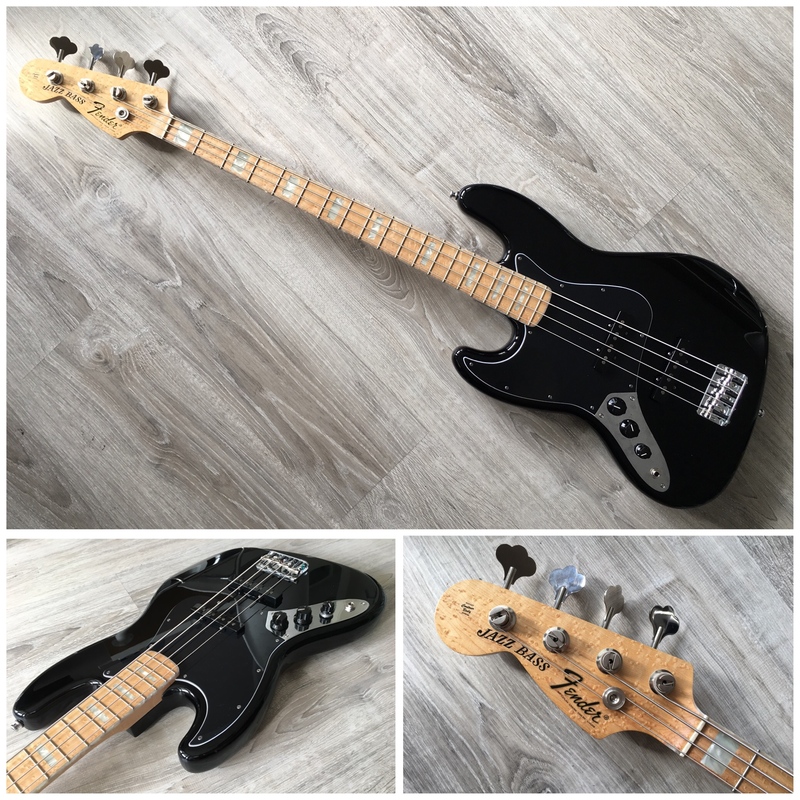 Inspired by the Fender Original Vintage series, I decided to build myself a new Jazz bass. Body is original Fender USA. Neck is a Warmoth custom made, birdseye maple with perloid blocks & binding. Pickups are Fender Pure Vintage '75. Bridge is a Fender Deluxe. After these pics were taken I replaced the pots with CTS log types and replaced the standard Jazz knobs with Strat style ('78!) ones. Looks sharp imo. I will post new pics shortly. Amazing quality, very stable and sounds really really good. A Warmoth neck you say? Goddamn! That neck came out great!! That's freaking Gorgeous! If it sounds as good as it looks, you've got a monster in your hands! Congrats! Two Thumbs up on the Neck! Love it! Black, chrome, maple is a winning combination! 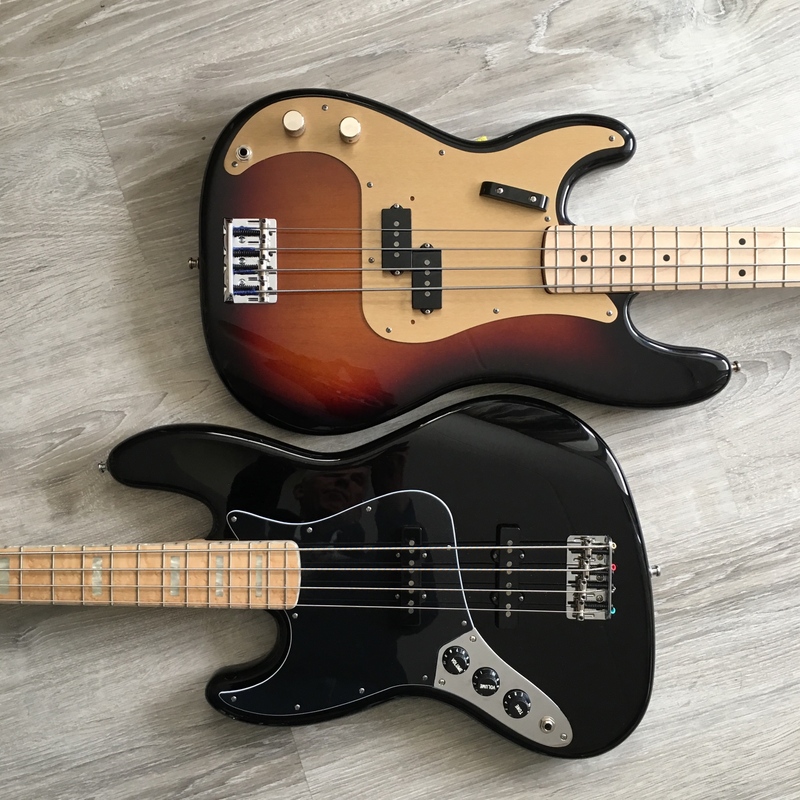 That’s a cool pic of the Jazz and P.
I love the pick guard on the P Bass. Where did you find it? I found that on www.tone-guard.com . Not very cheap, but good communication and great service!